Today is Election Day—less commonly known as the first Tuesday after the first Monday of November—and people all across the country are heading to the polls to cast their votes. 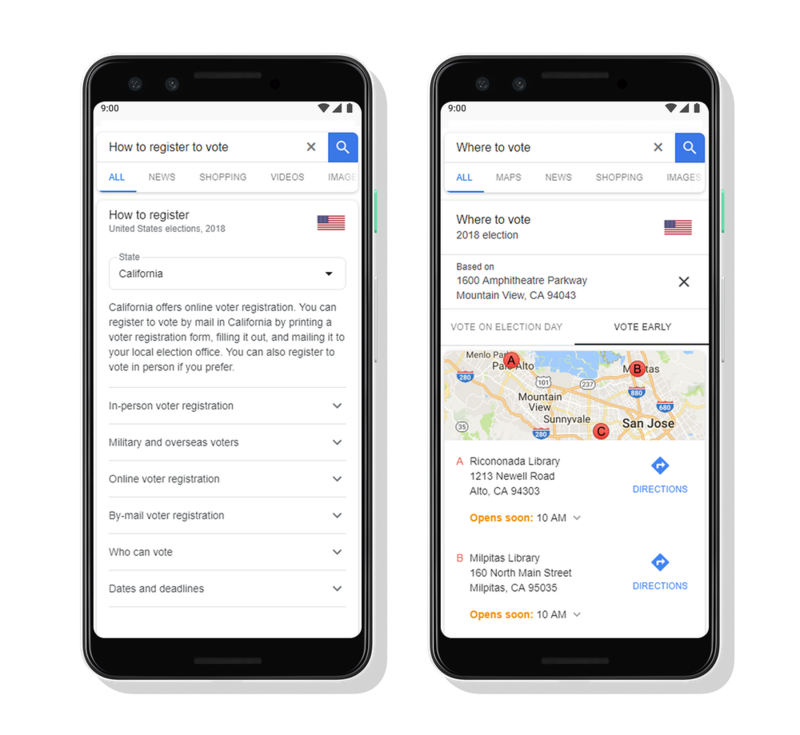 With many candidates, measures, and propositions on your ballot, Google tools are here to help you navigate the process, understand your choices, and view the results of races across the country. Whether you're registering to vote for the first time, voting absentee, or seeking directions to your local polling place, we can help you find the information you need to make your voice heard in this election. When you search for “how do I register to vote” or “how do I vote,” a box will appear on the results page with authoritative and easy-to-understand information about the deadlines, requirements, eligibility, and logistics of casting a ballot where you live. And if you aren't sure where to vote, a query for “where do I vote” will guide you to the right place. To help you make knowledgeable decisions about your ballot, we’re making information about candidates and ballot measures readily available. If you search for any federal or gubernatorial candidate, a panel of information will appear on the results page. This will include candidate-authored statements about platforms and legislative priorities for all campaigns that have chosen to post them. Likewise, a query for any statewide ballot measure will render a panel of information and the full text for that initiative. Once the polls have closed and the votes are being counted, you can come to Search to find minute-to-minute updates as the results begin to come in. A search for “Senate results” or “House results” on Election Day will give you a box with a real-time summary of each chamber, while searching for any congressional or gubernatorial contest will give you results for those specific races. 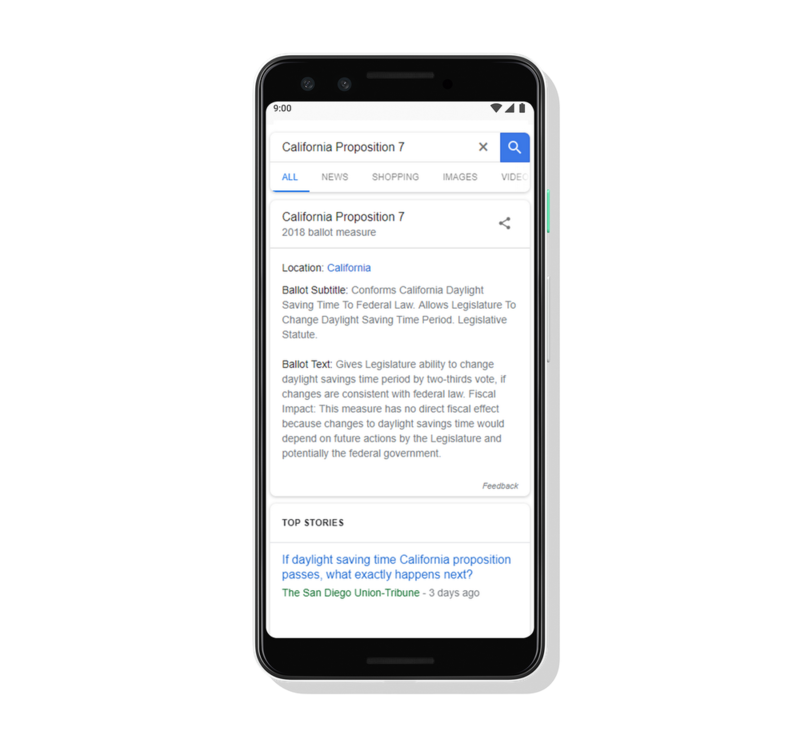 At Google, our mission is to make the world's information accessible and useful, and we hope these features help you participate in this election. So if you haven't already, go get your "I voted" sticker, and come back to Google when the results come in.